A book that tackles depression, suicide, and the complex issues faced by small farming communities, with dignity and compassion. This is the first in our series of reviews featuring this year’s finalists for the Romantic Book of the Year awards. This review has been written by guest reviewer Bec Brown. Bec has loved reading since she was a young girl (‘If you can’t sleep, read a book’ was my parents’ motto). After finishing school, she worked in the legal industry for 14 years, but finally broke free, and after two years of intense studying is now working in a high school library, which she loves. Not only is she surrounded by books all day, she gets to encourage a new generation of kids to love reading as much as she does. 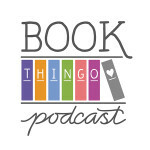 Bec reads a variety of books, including biographies, YA, and she especially love Australian Rural Books—she’s definitely a country girl trapped in the city. She regularly contribute her reviews to Goodreads and has also started a (very small) blog, were she she has been posting her reviews: GeckoGirlReads. Having already loved reading Paycheque and Nowhere Else by the talented Australian Author Fiona McCallum, I was looking forward to devouring Wattle Creek and was not disappointed. 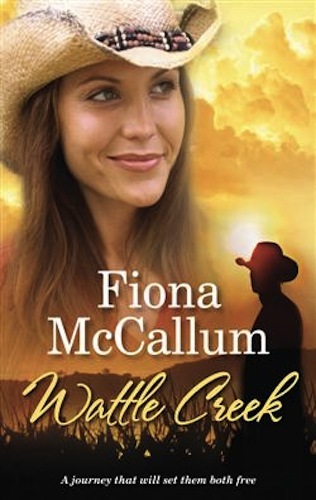 Wattle Creek starts off with a somewhat confronting scene of Damien attempting suicide, but then Fiona lets you into the lives of Damien and the farming community of Wattle Creek, who like most farming communities in Australia, are struggling with drought and the like. In comes city psychologist Jacqueline, who takes the opportunity of a 12-month posting to escape her own issues. She wants to try and make a difference in this town, but is just not sure ho. 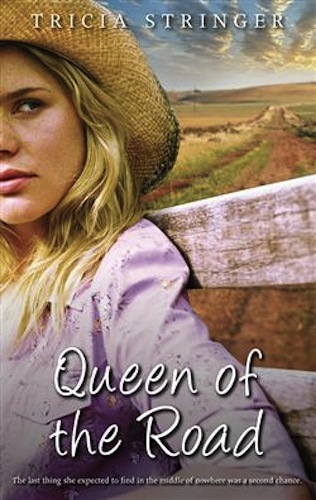 With lots of lovely, well-meaning locals and bush telegraph that would put most 24-hour news stations to shame, Jacqueline quickly falls for this small town and its favourite son. McCallum tackles some confronting issues in Wattle Creek—most predominantly, something that is unfortunately faced by many of our hardworking farmers and that is depression and suicide. Damien’s struggles are handled with the dignity and compassion they deserve, and the complex issues that small farming communities deal with are not handled lightly. While this may not sound like an uplifting read, ultimately it is, and McCallum’s handling of the topic is never preachy; the information is obviously well researched never tries to be a self-help book. The relationship between city girl Jacqueline and third-generation ‘accidental farmer’ Damien is realistic and honest and heart warming. This book is published by Mira (Harlequin), but it’s not your typical romance novel and you can safely recommend this one to your nana—just because they aren’t ripping their clothes off from page one doesn’t mean its not still love a love story. Wattle Creek rightfully deserves its nomination in the 2013 R*BY Awards, and I’m looking forward to reading Saving Grace—Fiona’s next book and the first in her new series, The Button Jar (her first three books are stand alone). 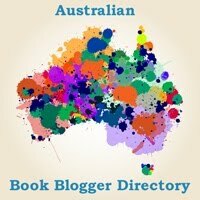 Tagged 2012 releases, australian authors, australian characters, award nominated, fiona mccallum.